Fever there was a town that wholeheartedly embraces the phrase ‘boom and bust’, it could well be Silverton, in outback New South Wales. Back in the 1880s, Silverton was abuzz with more than 3000 excited miners, all eagerly digging to find their future fortune among rich silver, lead and zinc deposits. And, yep, a few did get rich, but by the time those few pockets of minerals were exhausted a mere 20 years later, the town’s population had been reduced to a few hundred hardy souls. The rustic, dilapidated and virtually abandoned feel of this historic old centre captured their collective imaginations. This spurred a general town clean-up, the actors were brought in and cameras started to roll. And they kept on rolling. Some of the old buildings were restored and others were left untouched for their visually historic impact. It seems that this lonely outback location on the edge of the Mundi Mundi Plain (more than 1100km west of Sydney and 500km north-east of Adelaide) was just what the movie industry was looking for. These days, donkeys meander down the main street, rusty old VW beetles stand defiantly as quaint artistic treasures and a leaning dunny shakily squats on the town’s hillside. It seems that the scene in Silverton is set for almost anything. 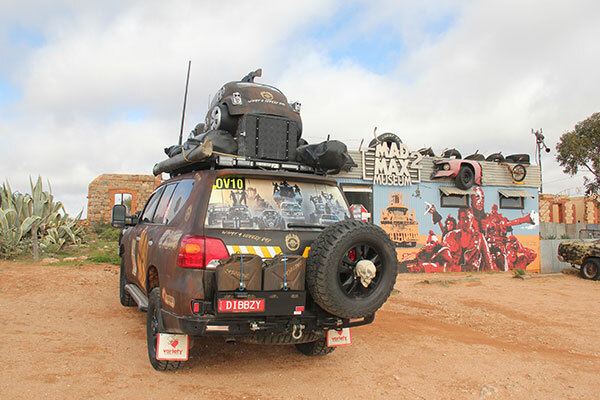 In the years since Hollywood discovered the township and its charms, no less than 45 films have been made here, including Aussie classics Mad Max 2, Priscilla: Queen of the Desert, A Town Like Alice, Hostage, Razorback, and the cult thriller, Wake In Fright. 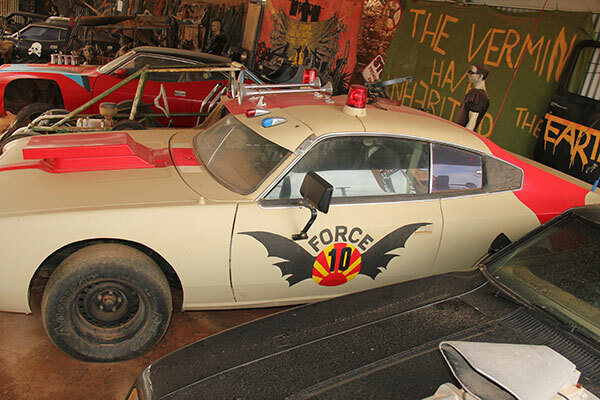 This quirky, almost ghost town has now embraced the image of an ‘outback Hollywood’. While the film activity in the last few years has certainly slowed, there continues to be a steady stream of other creative types arriving in town to shoot commercials, travel videos and documentaries, all featuring that iconic Silverton backdrop. Midnight Oil, Mick Jagger and INXS have all stopped by on various occasions, as part of more than 80 music video teams all looking to capture that distinctive outback flavour. 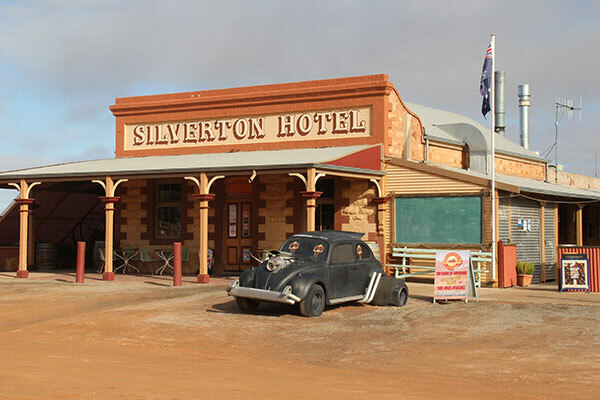 The upshot of all this activity is that Silverton now manages to sustain its modern day lifeblood in the form of tourists who are drawn there in their thousands to see the famous ‘Wild West’ film location immortalised in cinemas and TVs across Australia and internationally. It is estimated that around 100,000 visitors each year now come into the old town to have a look for themselves and savour this beaut piece of Aussie history. 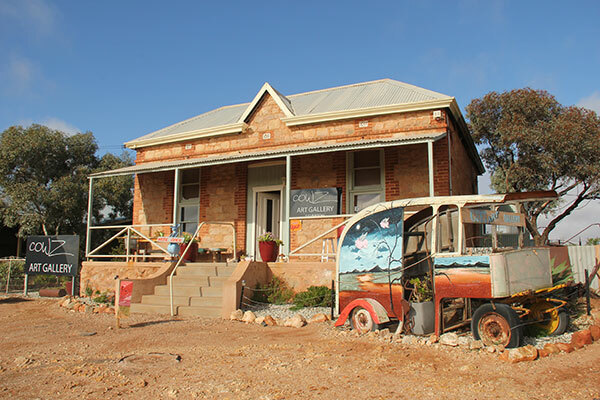 Arts and craft galleries (with a genuine outback style), the old gaol and museum, the historic courthouse, Masonic Lodge and cemetery, little old churches, the town’s schoolhouse, an opal display as a throwback to its mining origins and the ever popular Mad Max Museum all draw visitors keen to revisit the past (or at least the Hollywood version of it). The real star of this show though, is the Silverton Hotel, featured in dozens of film clips and built right alongside the site of the original De Baun’s Hotel that burnt down in 1921. The latter reportedly sold 19 tonnes of beer in its first few weeks of trading in 1883, good figures by any measure! 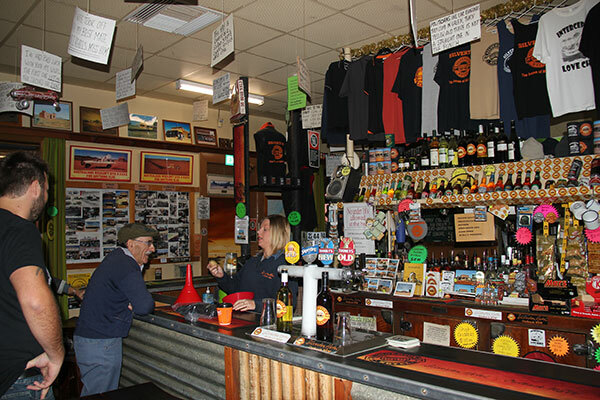 In scenes perhaps not experienced here since before the ore ran out more than 100 years ago, lunchtime trade at the pub often results in queues out the door and patrons standing two or three deep at the bar, all seeking to quench their thirst, fill their stomachs and indulge in some of that Aussie Wild West atmosphere. Don’t forget to ask the bar staff about their unusual drinking game – you might easily end up wearing your middy or schooner all over you. The walls of the Silverton Hotel also display old memorabilia, including an array of still photos shot on various film sets. Once you’re out of the bar, keep an eye on those cheeky donkeys on the street, too. It seems they have developed a taste for ice creams and anyone wandering the streets with a delicious cone in hand will usually have several close followers. During our recent visit, there were also three or four horses wandering freely down the main street – yes, out here virtually anything goes. As for that leaning dunny, we were unable to discover whether it was real or not –as nobody is game to be caught in there when it eventually does topple over! A one-time ghost town it might be, but Silverton still has an undeniable, even magnetic, silver lining. The full feature appeared in Caravan World #563. Subscribe today for the latest caravan reviews and news every month!